It is 63 years since Edmund Hillary and Tenzing Norgay reached the summit of Mt Everest and Canberrans can mark the feat this Friday with an Indian feast and a talk about current developments in the Himalayas. Elsewhere, there is a feast of high-powered sport at Canberra Stadium and in the forests surrounding Canberra. Brent Hill and Esther Hannaford star in and Dean Bryant directs the darkly comic musical based on the 1960 low-budget movie of the same name. Seymour Krelborn is a meek, down-and-out floral assistant when he stumbles on a new and unusual plant species, which he names after his stunning but vulnerable co-worker, Audrey. As Audrey II grows into a foul-mouthed, smooth-talking, soul-singing carnivore, Seymour discovers that feeding his ambition starts to require juicier and less justifiable ingredients. Before they know it, accidental hero Seymour and gutsy but guileless Audrey must battle the perilous and persuasive plant, with no less than the future of the planet at stake. Tickets cost $64.90. 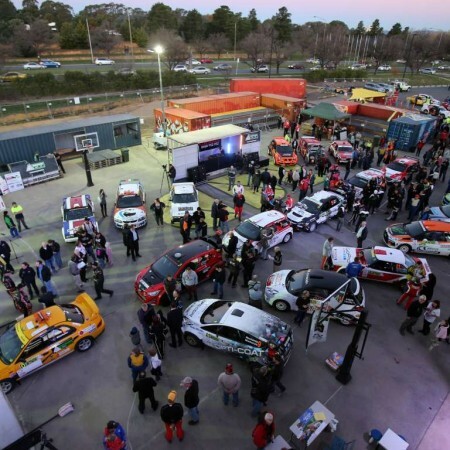 The rally, Canberra’s biggest motorsport event, roars into town this weekend, pitting the best rally drivers in the country on Canberra’s fast and technical forest roads. Catch all the action starting on Friday night with a ceremonial start at Westside Acton from 5pm, followed by a 2km super special stage around Barrine Drive and the Westside Acton carparks. The lakeside action will be repeated on Saturday afternoon from 2.30pm. Fans can also take to the forests just a short drive from Canberra’s central business district to witness the action from multiple spectator points. Warm clothes and covered footwear are a must. Access to all spectator zones is free of charge. 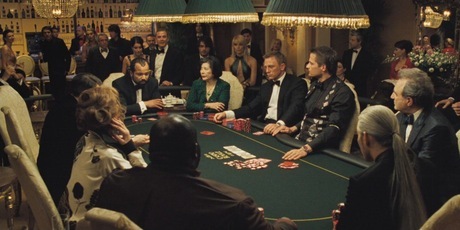 Casino Royale marked the start of Daniel Craig’s reign as the fictional MI6 agent James Bond. The 21st film in the Bond series, it was the third screen adaptation of Ian Fleming’s 1953 novel of the same name. The slick spy flick is being screened by the National Security Student and Alumni Association. No admission charge and food and drink supplied. 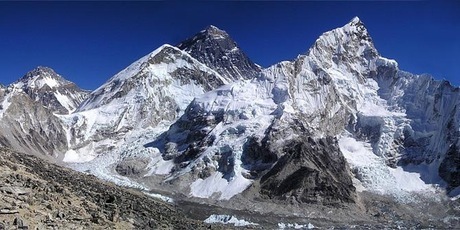 Zac Zaharias and the Himalayan Development Foundation Australia invite Canberrans to celebrate the 63rd anniversary of the first ascent of Mount Everest on the 29 May 1953 by Edmund Hillary and Tenzing Norgay. Zaharias and foundation chair Duncan Chessell will be there to share some of their adventures and news on the work they are doing in Nepal. Tickets cost $80 per person and include a three-course Indian banquet and wine. Canberra rugby fans can get their first glimpse of Japan’s representative team the Sunvolves, which has had a tough initiation in their debut Super Rugby season, winning one and drawing one in their 11 matches to date. 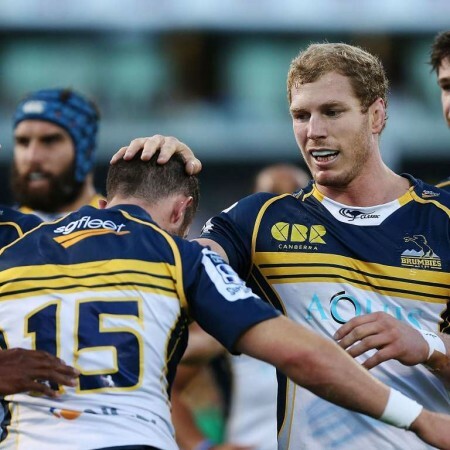 The Brumbies, meanwhile, will be aiming to grab a bonus point at Canberra Stadium to help them overhaul the Waratahs at the top of the Australian conference and earn an automatic finals berth. When 4pm | Where GIO Stadium, Battye Street, Bruce. The rugby league boys take over GIO Stadium on Sunday when Canberra Raiders host the Bulldogs, whose big forward pack are sure to test Ricky Stuart’s side, which will be looking to build on their morale-boosting 38-12 win over the New Zealand Warriors in New Plymouth last Saturday. Festa della Repubblica, officially celebrated on 2 June, commemorates the Italian referendum when Italy chose to become a republic. This year’s festa, hosted by Com.It.Es Canberra in collaboration with Canberra’s Italian community associations, is an opportunity to enjoy regional food and sweets, wine, coffee and gelato, take part in a cooking lesson with Chef Francesco Balestrieri and enjoy the tunes of accordion virtuoso Lucio Ventresca. There is a taste of opera from Fleur Di Lis and old Italian favourites from the Dante Musica Viva Choir. For children there will be a jumping castle and face painting. Tags act brumbies Camnberra Raiders canberra theatre centre casino royale Festa della Repubblica Italian Cultural Centre little shop of horrors national capital rally NRL super rugby.